Home » TALK Boston is the Best! TALK Boston is the Best! TALK Boston’s downtown location opened in March, 2014. 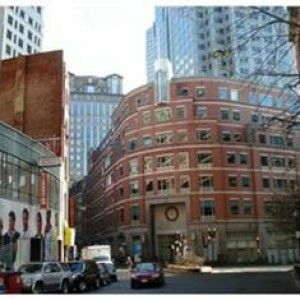 Located in the Financial District in Boston’s historic heart, the school has drawn international students from all over the world, attracted by the close proximity to historic national landmarks, beautiful public parks, fashionable shopping areas, restaurants, bars, nightclubs and recreational facilities. Along with that small-city feel and charm that Boston evokes, TALK Boston’s unique character and spirit makes our international students’ experience at this school special and memorable. This special ‘something’ is the product of the school’s staff and teachers, and it begins with the warm, approachable and helpful friendliness of the Director, George de Souza. Along with his wife, Patricia, George opened the TALK Boston school in 2010 when it established itself on the Regis College campus. The staff and teachers are also part of the supportive team that make up the TALK Boston family. Many are foreign themselves, or are Americans who have taught in other places, and they understand the difficulties their students can experience not only with learning English but also adapting to their new surroundings. They see themselves as representatives of American values and culture and understand the responsibility to show and share with the students the best and most interesting attributes of their country. TALK Boston has Everything, Including Location, Location, Location!